Temperature Qualification is a detailed study, which is involving many tests and designed to evaluate various equipment. Qualification study will be carried out in various assets such as warehouses, reefer trucks, cold rooms, refrigerators, Passive or Active boxes etc. 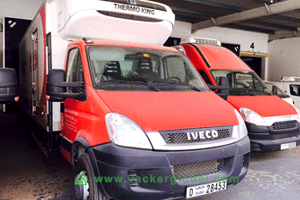 which are mainly for transporting and storage of pharmaceutical products, medicines, foods etc. After this whole procedure, the particular asset is certified as qualified for achieving and maintaining the desired levels of temperature. There are four processes in the Temperature Qualification Study. Each process must be completed before the next one begins. It is a step by step procedure. The four processes are below. This process is mainly for the equipment installed in various assets. The study analyzes each and every equipment in the assets. Further it analyses that the particular assets are designed properly to carry out the desired functions. These include achieving and maintaining the desired temperature. This process will be analyzing specific item of equipment performs in accordance with the manufacturer requirements specification. This is Design Qualification Process. It will involve checking the design aspects with accepted engineering practices. Also relevant requirements of the country in which the asset is maintained have to be considered. This process helps for a detailed examination of all major components. Components installed in the particular asset are verified. Also it is verified that an installation in a specific location is fully in accordance with the Manufacturer requirements specification and installation drawings. This is Installation Qualification Process. This is generally known as IQ. Operation qualification is designed to evaluate various methods of operation of the entire assets and its major components. All the equipment should be operated as per the manufacturer’s specification. Also it should comply with Standard operating Procedure (SOP) executed by the user. This is Operational Qualification Process and it is generally known as OQ. This process is the final stage of the Qualification study. This process will verify all documents such as calibration certificates, maintenance checklists, operation checklists etc. These have to be maintained as per the written procedures or SOP. These tests are designed to evaluate if an asset is maintaining the product temperature. This temperature should be as per design specifications and requirements in the actual distribution environment. Commonly, the Design Qualification (DQ), Installation Qualification (IQ), and Operational Qualifications (OQ) of the assets are performed prior to the Performance Qualification (PQ). Normally in every asset, the IQ/OQ are easy to perform and document. Majority of pharmaceutical manufacturers comply with this requirement. The manufacturer/distributor of the equipment also helps in performing these qualification tests for IQ and OQ. The main part of the whole qualification study comes in the performance Qualification (PQ). This Performance Qualification helps in ensuring the particular asset is capable of the following. Even if the external temperature goes to extremes, the asset should maintain the desired temperature range. The hot spots and cold spots in the asset will be identified and recorded. In case excursions happen, the time required for returning to the specified parameters should be determined and recorded. The cold room is mainly used to store the medicine. 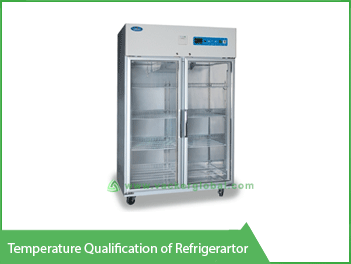 It should be maintained in the particular temperature range between 2°C to 8°C.The temperature qualification of the cold room is determined by writing the protocol and testing each and every equipment installed in the cold room. The qualification study will be performed by carrying out IQ, OQ and PQ. The protocol will be issued before the study, which complies details of installed equipment in the cold room. Also, it covers procedures of the qualification study which need to be done at the time of a test. In the Installation qualification, we will require the details of the Main equipment, sub equipment, controllers, sensors, components, etc. 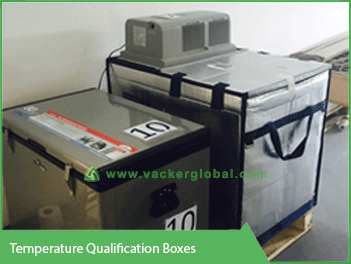 The study will also verify the electrical requirements of the cold room. In the Operational qualification study, there are several tests which include the following. Verification of the calibration details of all controllers, sensors, components etc. SOP (Standard operating procedure) Verification. This covers verification that the SOPs are written and issued consistent with equipment and process requirements. The SOP is required to install, use and maintain the equipment on regular basis. Control Panel Verification which verifies that all buttons and display of the temperature controller operates in accordance with manufacturer’s specifications. Alert Verification to confirm that alarms of the cold room operate as per design specifications. 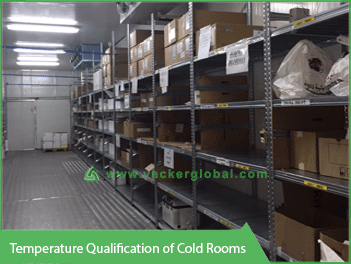 Empty cold room temperature control and distribution verification to demonstrate that the cold room is capable of controlling and maintaining a uniform temperature under empty conditions. Power failure verification to test the scenario in case of a power failure. This is to document the time period the cold room can maintain the specified temperature range during a power failure. Also the time period to recover within the specified range following a power failure will be determined. Loaded cold room temperature control and distribution verification. This is to demonstrate that the cold room is capable of controlling and maintaining a uniform temperature under loaded conditions. 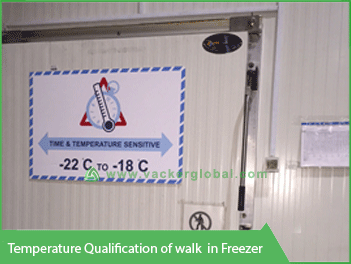 Loaded cold room temperature recovery time verification/door opening test. This is to demonstrate that the loaded cold room is capable of recovering to the specified temperature range within specified time following a door opening. The protocol and report of the temperature qualification of a cold room include a detailed study testing methodology, results, data interpretation and recommendations for the cold room. The study analyses the hot and cold points in the cold room. For cold rooms, generally humidity also need to be tested along with temperature. In such cases it is referred as temperature & humidity qualification. This is generally carried out for cold rooms, walk in freezers etc. 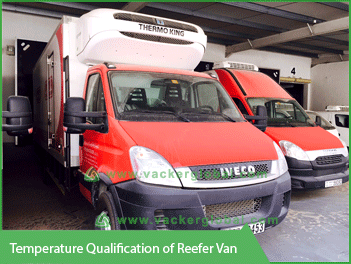 Reefer trucks and vans are used for transporting the pharmaceutical products, medicines, foods which should be maintained in a particular temperature range. The procedure is similar to that of a cold room. Humidity need not be tested since the humidity inside a reefer cannot be controlled. The sequence of tests are similar to that of a cold room. However, the vehicle has to be driven on road during the test to simulate actual conditions. Active Boxes are electrically refrigerated boxes. The boxes have to be tested inside a van as well as inside a warehouse. This is to simulate actual conditions. Otherwise the procedures are similar. For a refrigerator also the procedures are similar. It is preferred to use Data Loggers with external sensors. The sensors have to be inserted in glycol bottles.